You pay taxes to build roads, fight fires, and educate kids? False. 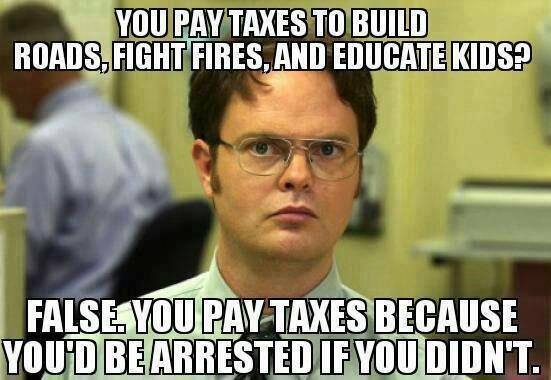 You pay taxes because you’d be arrested if you didn’t.